If you grew up moving around as much as these girls did, you�d be tight with your siblings, too. 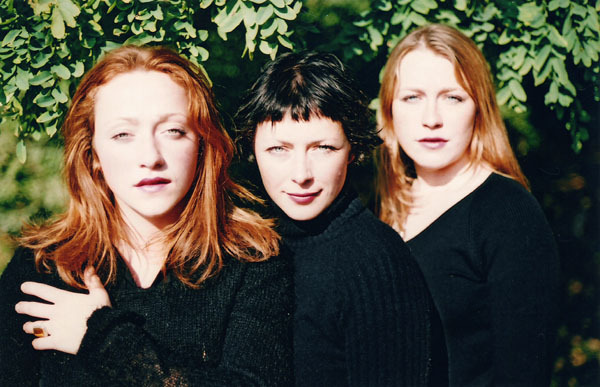 Sisters Anneke (piano, vocals), Christine (guitar, percussion, vocals) and Heather Boyer (guitar, vocals) were all born in different cities and have lived across Canada, all the way up to Whitehorse, Yukon. Back then, singing helped pass the time while trapped in the backseat of a car. Now the girls hope to make it their career.For the past 5 years, the sisters of Anneke�s Star have been booking shows in their hometown of Windsor, often extending into the Detroit and Ann Arbor areas of Michigan, and along the 401 corridor, as far north as Ottawa. Their genre is folk-pop, but definitely with an edge, after playing shows on rock stages where they were often sandwiched in a line-up of heavier bands. The girls learned quickly how to confidently push their songs to win over any audience, and have since developed a charismatic stage show and a very loyal following.The girls like to focus on song content, therefore their lyrics are thoughtful and reflective. Fans of Anneke�s Star love to �hear the words�, which has encouraged the girls to play acoustically, without the accompaniment of bass or drums. Depending on the song, Christine, Anneke and Heather all take turn singing lead, so the trio�s �sound� is identified mainly by their intense three part harmonies and interwoven vocal lines. These girls can effectively raise goosebumps on even the warmest person.Recording has been the main focus for Anneke�s Star. Since all three sisters are strong songwriters, their material is generated at a very fast rate. Recording and cataloguing their songs became a helpful tool to build a strong set and sharpen their skills. In all, the girls have recorded four live sessions and four studio sessions, with well over 200 songs now registered with SOCAN.